Ready for a quiet vacation ! Patrician Towers are the best place to reside in if you are planning a vacation in Rehoboth Beach. People who prefer contemporary style residences for their short vacation must opt for the Patrician Towers. It is located a short distance away from the beach. You may just enjoy a short stroll while you jog to the beach. It is always a pleasure to watch the sunrise and sunset sitting at the shore of the beach. Nature lovers will find this a perfect retreat at the banks of the Atlantic. You can have a break from the stressful city life by vacationing at the banks of this peaceful beach. Patrician Towers have all the necessary amenities at a stone’s throw. The location of these towers may be referred to as an ocean block location. The fully furnished residences here make for cosy homes. They even have a rooftop swimming pool from where the beach is clearly visible. It is a great place for budding nature photographers as the place is located in the arms of nature with amazing views of the beach, some rarely spotted ocean birds and picturesque scenic beauty. People may even choose to stay here during summers that are bright and beautiful. 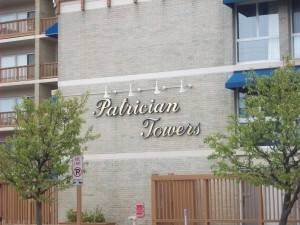 Patrician Towers are located in the coastal region of Delaware. It even has some perfectly furnished condos for sale. The resorts here are great places for holidaying while the condos and apartments can be great investment. You can enjoy panoramic views of the ocean from these towers. The malls, shops and all other amenities are just a drive away. You can make these towers your holiday home. It can also be your second home where you vacation and enjoy with your loved ones. People have fond memories after staying in the location. The pure air will surely promise a healthy getaway for you and your family.